To everything there is a season, and a time to every purpose under heaven. Most of all, however, there is a time for the obligatory Hollywood family comedy set during the holidays. (No, not Arbor Day.) 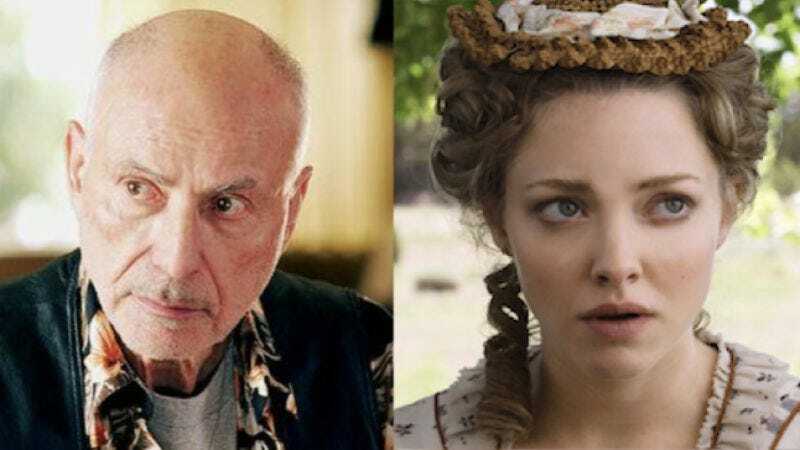 This year, that time will be November 13, the date CBS Films and Lionsgate have chosen to release their upcoming film Let It Snow, starring Alan Arkin, Amanda Seyfried, and many others. The title was presumably chosen because the working name, Gatorade-Goldman Sachs Cross-Promotional Synergy Product No. 27, was too long to fit on a commemorative 7-11 Big Gulp. Let It Snow—originally titled The Most Wonderful Time, a sobriquet that actually induced premature labor in lab rats testing the effects of cliché—is described as a holiday comedy which “follows the exasperated members of an extended family as they attempt to gather for their annual holiday celebration.” Surely it’s not too soon to presume an Oscar for best original screenplay? The film, which has already started shooting in Pittsburgh, has a cast that includes Arkin, Seyfried, Ed Helms, John Goodman, Diane Keaton, Anthony Mackie, June Squibb, Marisa Tomei, and Olivia Wilde. It’s being directed by I Am Sam director Jessie Nelson from a screenplay by P.S. I Love You’s Steven Rogers, a dream team for this sort of project. T Bone Burnett has been tapped to serve as ridiculously overqualified executive music producer and oversee the soundtrack, which will no doubt go down in history as being a film soundtrack. Hopefully, there will be a teaser for the trailer soon, because who can wait until November for this kind of magic?